Untitled is part of a body of work that looks at print as object or prop within a space. The work builds on an in-between space, a place of tension between our real and imagined perception. Órla Goodwin is an Irish artist based in Dublin. With a background in costume for theatre, she returned to college gaining a BA honours degree in Fine Art and Visual Culture at NCAD. 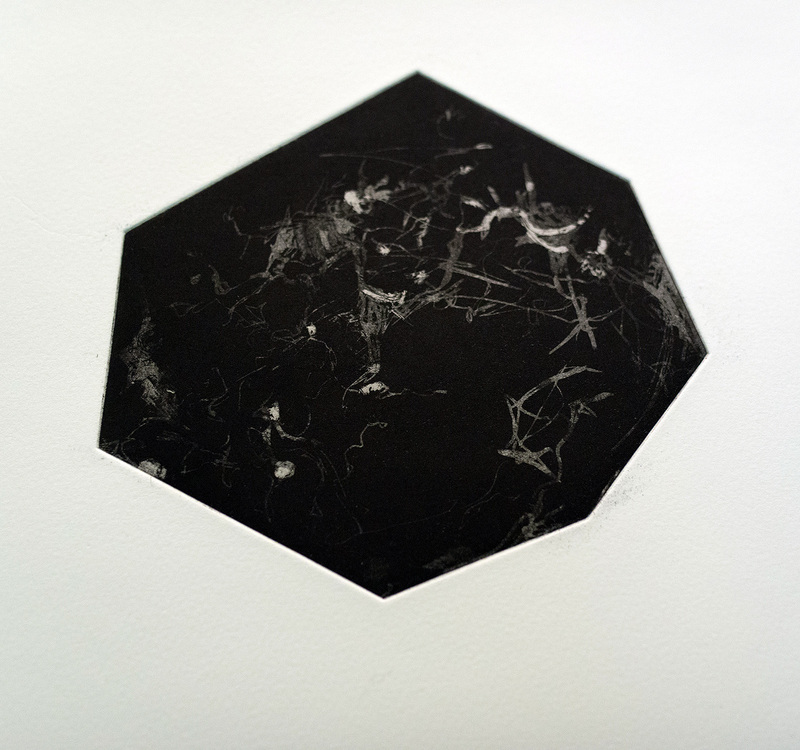 Currently Órla is part of the MFA in fine art specializing in fine Print, also at NCAD. Her work is an investigation of the tension between reality and fantasy, creating an undefined narrative, a fragmentation of space relating to the scenography of the designed theatre stage. A space existing between realities, exploring this with the conceptual narrative of the print medium.